Getty Images/ Jeff GrossGross owns a home on 17 Mile Drive in Pebble Beach, California, which abuts one of the world’s most famous golf courses. 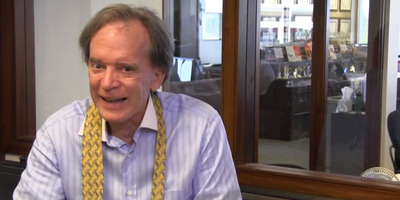 The big Wall Street news Friday, from Bloomberg View, is that former PIMCO boss Bill Gross got a $US290 million bonus in 2013 before departing the firm. That’s a lot of money, even for someone who’s estimated net worth is $US2.3 billion. 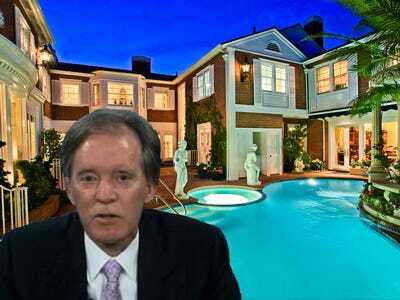 Gross, who co-founded PIMCO and managed its massive Total Return bond fund before heading to Janus in September, is also known for his character and eccentric lifestyle, which some have attributed to his successes in money managing. Gross has a unique management style. Gross’ work habits have bred many successful traders and portfolio managers — he is known to leaves notes on his employees’ desks questioning their portfolio positions by the time they come in to work at 4 am and to admonish his traders when they attend investment conferences, saying instead they should be speakers at these conferences. REUTERS/Lori SheplerThe headquarters of investment firm PIMCO, where Gross ran a ‘graveyard silent’ trading floor. 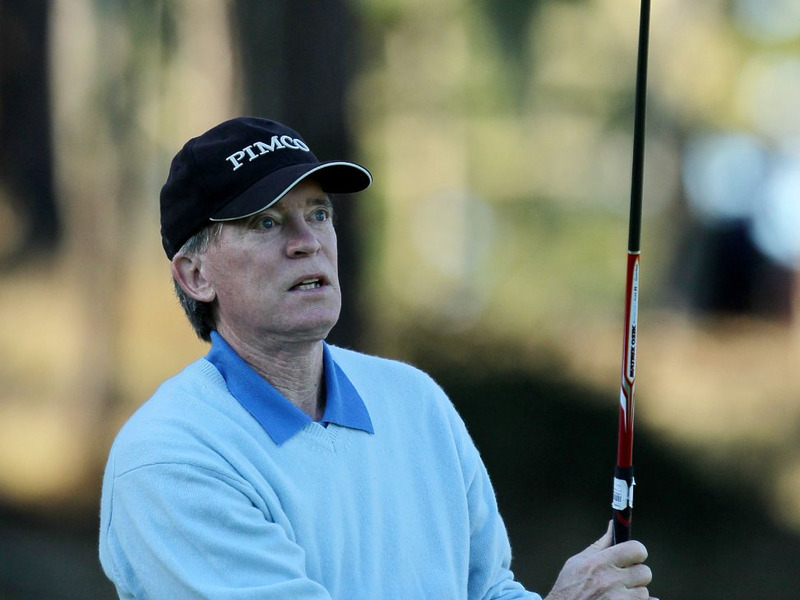 At PIMCO, he was also known for running a hushed office. 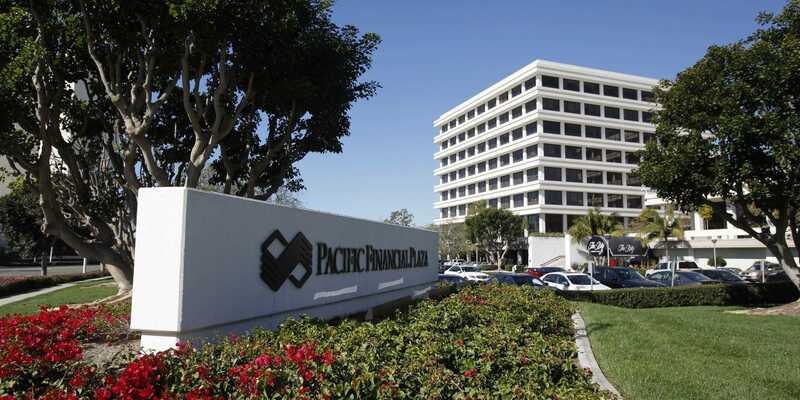 Reuters reported that PIMCO’s trading floor was “graveyard silent” because Gross encouraged his traders to use electronic communication rather than talk. In addition, Gross met with his top executives everyday in a closed-door meeting where blinds were drawn and no cell phone use was allowed, because he wanted everyone to focus on PIMCO and the task of making their customers money. He also has a unique personal style. With long hair, an informal fashion and casual attitude, Gross isn’t like many other Wall Streeters. Indeed, he often refers to himself as the antithesis of a Wall Street “alpha male,” according to the New York Times. Gross also isn’t prone to schmoozing or travelling to network. Even when more publicity shone on him after the financial crisis as government officials began asking for his counsel, he says he never met Treasury Secretary Timothy Geithner until Oct. 2010. Gross has some eccentric hobbies and personal habits, too. Gross is an avid practitioner of yoga. Many have pointed to Gross’ yoga habit as a symptom of his West Coast surroundings; he lived in Beverly Hills while working at PIMCO. But the exercise is not uncommon among many financiers — Dan Loeb of Third Point and former BofA exec Sallie Krawcheck are also yoga practitioners. Courtesy of Jade Mills Realty/AP ImagesGross picked up a mansion from Jennifer Aniston for a reported $US37 million. Gross has also said he gets investment ideas from standing on his head during yoga, the New York Times reports. He’s also a huge stamp collector. Gross got into stamp collecting when his mum saved up old stamps in hopes to eventually selling them off to help pay for his college tuition. When it came time to sell them, dealers told Gross that the stamps were worth less than what his mum had paid for them originally. But Gross held onto the stamps and continued collecting, saying he knew it wasn’t a good investment but wanting it to be a successful hobby. He’s spent as much as $US3 million collecting every stamp produced by the US from 1847 to 1869. Some of his collections have sold for as much as $US500,000. And Gross was once a professional blackjack player. After college, Gross hopped a train to Las Vegas with $US200 sewed into his pant leg. Within four months of playing 16 hour days, he had turned that $US200 into $US10,000 — money that he used to pay his tuition as UCLA’s business school, according to Reuters. Courtesy of First Team EstatesIn 2009, Gross spent $US23 million on a Newport Beach house, tore it down, and put the land up for sale. Gross also said he used experience from gambling to further developing his ability in analysing risk spreads and calculating odds on investments. Gross is a spender (and he can certainly afford to be). 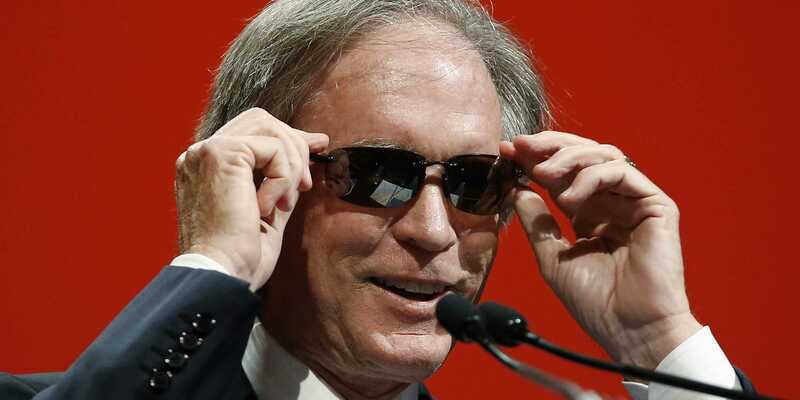 Gross is worth $US2.3 billion, putting him at #277 on Forbes’ US rich list. In 2011, he bought Jennifer Aniston’s Beverly Hills home for a reported $US37 million. But that’s just one of his many real estate investments. In 2011, Variety reported that Gross and his wife also owned homes in Laguna Beach, Corona del Mar, and Indian Wells, as well as a condo in Park City and a mansion in 17 Mile Drive in Pebble Beach. He also has a penchant for Hermès ties, but he prefers to wear them draped around his neck untied, like scarves, because he wants to work with his collar open. PIMCO / YouTubeNo knot in this Hermès necktie. Former Business Insider reporter Lisa Du wrote an earlier version of this story.